In the past, heroin was used as a prescription painkiller, but it was made illegal in the 20th century because of its highly addictive nature. Today, it’s defined as a Schedule 1 drug. In 2015, there were more than 13,000 deaths involving heroin. From 2002 to 2015, deaths attributed to the drug increased 6-fold. With today’s ongoing opioid crisis, a growing number of people have started to use the drug. Heroin is an opioid that is made from morphine, a naturally occurring substance that can be found in opium poppy plant seeds. The drug can be injected, snorted, or smoked, and those who are highly addicted to heroin often mix it with crack cocaine to achieve an even stronger (and more dangerous) high. Like all harmful substances, heroin impacts the major organs in the body, especially the brain. Long-term heroin use can lead to irreversible damage to various parts of the brain. If someone you know is addicted to heroin , it’s important to understand the health implications of the drug, as well as the best way to go about finding treatment. As with most addicts, those addicted to heroin often lie about their drug use and are in denial that they are addicted to the substance. If you find any heroin-related paraphernalia, like a white powdery substance or needles, burned spoons, or a glass pipe, chances are your loved one is addicted to heroin and needs immediate assistance. The implications of heroin use and abuse vary, from person to person, depending on how much heroin is used, how often it’s used, and other drugs that may also be taken. Short-term side effects include mood swings, loss of appetite, dry mouth, flushing of the skin, and slowed breathing. Prolonged use of heroin causes symptoms to become much more severe. Long-term heroin use can cause skin disease, liver disease, and even kidney disease. Misuse or sharing of needles can lead to Hepatitis B and C, as well as HIV—health conditions that can be fatal if left untreated. Over-injection of the drug can cause the veins to collapse or become extremely scarred. Most addicts start by injecting in their arms but, over time, must use other areas of the body to successfully inject the drug. Can Heroin Cause Brain Damage ? While heroin use impacts other areas of the body, it most notably impacts the brain. When used, heroin enters the brain very quickly and binds to the opioid receptors. These receptors control heart rate, breathing, and sleeping, as well as feelings including pain and pleasure. Heroin also impacts the risk/reward system of the brain, which, in turn, causes a decrease in serotonin, dopamine, and other neurotransmitters that are produced. Disrupted levels of neurotransmitters can cause mood swings, depression, and anxiety. Since heroin causes the brain to artificially release neurotransmitters, addicts experience withdrawal symptoms if they’re unable to take heroin when the brain needs it. Withdrawal causes flu-like symptoms, including chills, body aches, fatigue, nausea, and even depression. According to studies, heroin use causes brain damage that’s often only seen in Alzheimer’s patients . Because heroin changes the natural structure of the brain’s reward system, the brain’s function is impacted. Heroin addicts also risk further brain damage because of the lack of oxygen. The drug causes depressed breathing, which means less blood is moved throughout the body. A lack of oxygen in the brain can cause brain damage, as well as damage to other vital organs. Studies continue to be conducted to better understand the long-term effects of heroin addiction. While heroin abuse does damage the brain, some of this damage may be reversible, but, at the least, the damage and its impact can be managed. In fact, most people who overcome heroin addiction are able to lead full and healthy lives. To prevent serious brain damage, if you or someone you know suffers from heroin addiction, seek help immediately. Finding a local detox center is the best chance for you or a loved one to break free from the chains of addiction. If someone you know is battling an addiction to heroin, it’s hard to know how to address the issue, let alone help your loved one. More often than not, addicts want to stop using but don’t know how to stop. More importantly, many don’t want to experience withdrawal symptoms. One of the best things you can do is to learn everything you can about heroin so that you can better understand what your loved one is facing. Understand the heroin health effects, as well as how you can help your loved one get the treatment they need. Addiction is an uphill and life-long battle, but, with the right support system, the disease can be overcome. The next step is to look for detox centers in the area. A reputable detox facility is the safest place for your loved one to be during their battle to end addiction and reach sobriety. Encouraging your loved one to quit cold turkey may seem like a good idea, but most addicts who quit a hard drug like heroin on their own often relapse. It’s best to seek professional help from a detox facility that is experienced in helping those with heroin addiction. Since the road to recovery can be long and sometimes bumpy, it’s crucial that you’re available to support your friends or family members throughout their journeys. Give them the courage and confidence that they need to get through this rough patch. Be a listening ear on those tough days when the voices of addiction creep back into the picture. Knowing that someone you love is dealing with addiction is tough, but getting them to go to treatment for detox is even harder. Some families stage an intervention, while others wait until their loved ones are ready to put an end to their addictions. Since it’s hard to force people to want to end their bad habits, the best thing you can do is to talk to your loved ones, express your concern, and open doors that allow them to get the treatment they need. There are dozens of South Florida detox centers, but, if you’re looking for a facility that will help you or a loved one regain control and get on the road to recovery, look no further than South Florida Detox Center. We offer an outpatient detox program as well as Suboxone treatment that minimizes the withdrawal symptoms that your loved one will experience. We work with each of our clients and their doctors to ensure the best detox program is used. Don’t go another day under the influence of heroin addiction. With the right detox treatment and support system, you, too, can be on the road to recovery. Call us today at (561) 337-6842 to schedule a low-cost visit. Interventions are a drastic, but often necessary, step needed to convince drug or alcohol abusers to seek help for their problem. To succeed, family members or friends need to carefully plan the intervention and solicit the help of a doctor or professional alcohol or drug counselor. An intervention seeks to use peer pressure in a positive manner to push addicts to admit to their problem and seek help. For example, an intervention in Florida might involve family members confronting an addict about his or her problem and urging the addict to seek treatment in South Florida detox centers. In an intervention, family and friends who want to convince an addict to seek help will gather together and confront him or her unannounced. 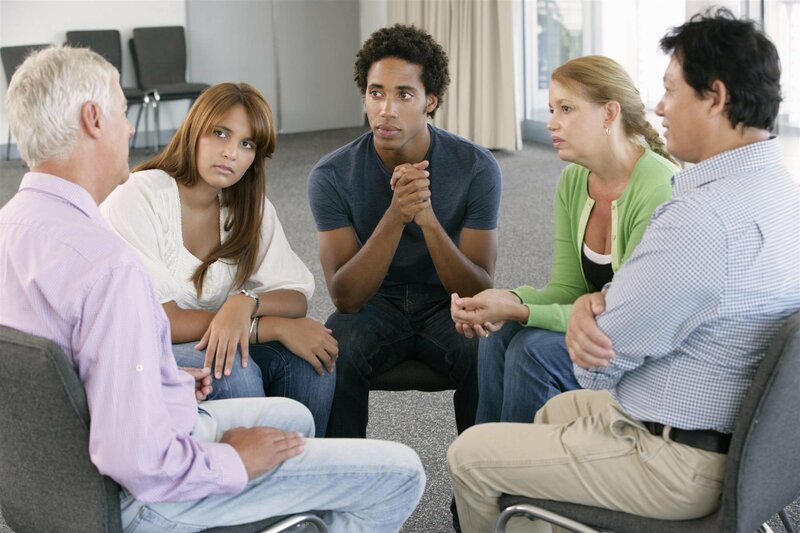 During the intervention, each member of the group confronting the addict will explain how his or her relationship with the addict has been harmed by the addict’s drug or alcohol problem. Participants will plead with the addict to seek help and list consequences of not seeking treatment. Many interventions are overseen by mental health professionals, who direct the intervention, keep participants on topic, and offer options for treatment to the addict. Interventions are emotionally stressful and draining, as confronting a friend or family member about addiction is always hard. Making ultimatums and outlining consequences for an addict’s behavior are also very stressful for participants. 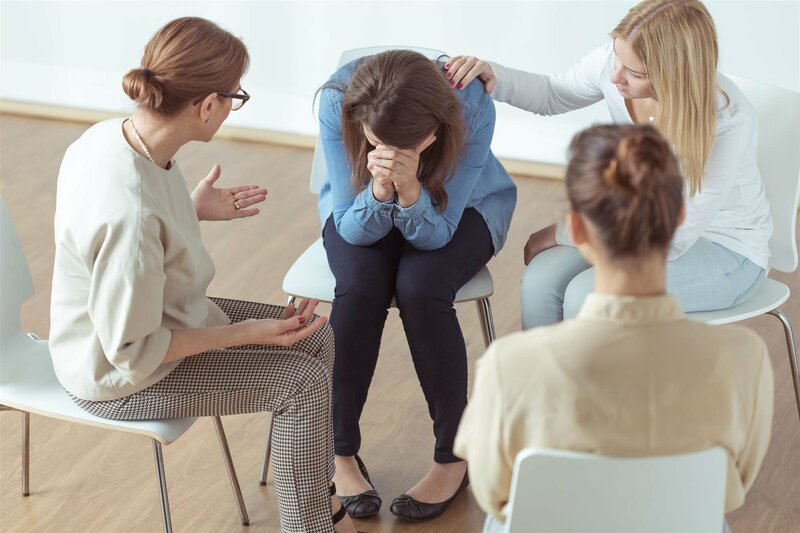 Enlist professional help – Trained addiction counselors understand interventions and know the best approaches to take in convincing addicts to seek treatment. Friends and family members of addicts can often be exasperated by their loved one’s behavior and may go too far in an intervention. A trained addiction counselor will work with participants in the intervention ahead of time to ensure that they’re saying the right things to convince the addict to seek treatment. 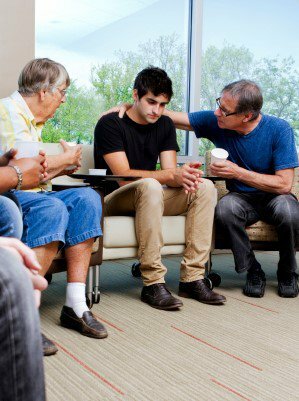 Trained counselors can also provide advice for intervention participants regarding other issues the addict may have. For example, it’s important to carefully craft an intervention if an addict has a history of suicidal behavior, violence toward others, or is taking legitimate medication for mental health issues. Assemble an intervention team – Typically, the intervention team will consist of family, friends, and co-workers of the addict who will confront him or her during the intervention. The people on the intervention team should know the addict well and have a vested interest in seeing the addict seek recovery. People who are currently struggling with substance abuse issues of their own should likely not be on the intervention team, but addicts who have successfully overcome similar issues can be an asset. Get educated – The members of the intervention team should be knowledgeable about the extent of the addict’s problem. Sharing information among yourselves is important to ensure that all members of the team speak with one voice on the issue. Members of the intervention team should also read reliable journals and publications about abuse, addiction, and recovery so that they have a better understanding of the addict’s situation. Learning about south Florida detox centers and rehabs can also help. Develop a plan – You and the members of the intervention team should plan the event. Start with setting a place and time for the intervention. Also, collaborate with one another to determine what each member of the team will say to the addict. Write impact statements – Members of the intervention team should develop personal statements outlining how the addict’s behavior has impacted their lives and their relationships with the addict. Written statements will give the addict something to review after the intervention and can really make the message that participants in the intervention are trying to deliver hit home. Impact statements need to be grounded in love, but also provide an honest appraisal of how the addict’s problem is harming his or her life and the lives of others. Avoid personal attacks in these statements. Rehearse – Members of the intervention team should rehearse their statements to the addict before the intervention. Rehearsal helps eliminate problematic language in participants’ statements and helps ensure a singleness of purpose among the members of the intervention team. Rehearsal also helps ensure that statements are not long-winded and that everyone gets the opportunity to speak. Prepare emotionally – Interventions are emotionally fraught. Participants in an intervention need to be prepared for pushback from the addict. They also need to be mindful of their own feelings and avoid the desire to go on the offensive against the addict. It’s perfectly natural to have feelings of frustration with an addict, but the intervention’s purpose is to help the addict, not to give you the opportunity to vent. Manage your expectations – Not every addict will have a “road to Damascus” conversion as a result of an intervention. For some, the decision to seek help may come more slowly. Be realistic about your expectations, and be ready to continue to have conversations with the addict after the intervention. Following up – Your efforts to help an addict don’t end with the conclusion of an intervention. It’s important to follow up. 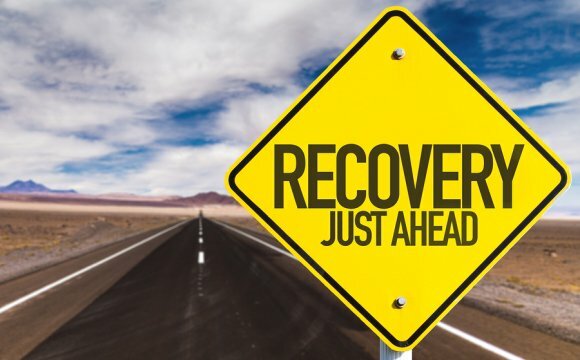 If the addict expresses a desire to seek help, connecting him or her with a south Florida detox center or another rehab program is important. Providing continued encouragement and support is also helpful. If the addict does not the intervention, it also falls on you and the other participants to enforce any ultimatums made in the intervention, such as withdrawing financial support, revoking parental rights, and limiting contact. It’s tough, but sometimes these actions are the only way to prompt an addict to seek the help that he or she desperately needs. Drug addiction is a major problem in our society, harming addicts and those who love them. Opiate addiction has become an increasingly thorny public health challenge as prescription drug abuse and heroin abuse have spiked in recent years. Learning the physical signs of heroin abuse and prescription opiate abuse can help family and friends of possible addicts begin the process of helping their loved one seek help. While interventions are emotionally charged, they do have a strong track record of success in convincing drug and alcohol addicts to seek help. An intervention’s chance of success is also bolstered by having a trained professional drug or alcohol counselor’s participation. The National Council on Alcoholism and Drug Dependence says interventions involving a trained professional have a 90 percent rate of success in convincing an addict to seek treatment. 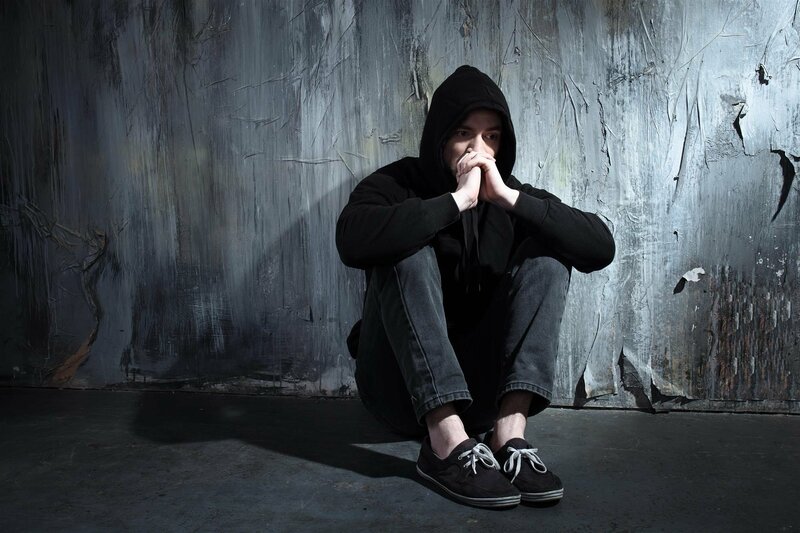 Even if an intervention does not immediately convince an addict to seek help, it can be a determining factor in the addict seeking treatment later. The key is to convince addicts that they want and need treatment. Voluntary addiction treatment typically has better outcomes and a longer-term success rate than treatment mandated by the courts or other forms of compulsory treatment. South Florida Detox Center operates outpatient detoxification facilities in Broward, Palm Beach, and in the Treasure Coast area. The practice focuses on heroin and opiate detox for Florida residents. Physicians with South Florida Detox Center primarily use Suboxone treatment to help patients eliminate their opiate addiction. Programs for patients are tailor-made to account for their individual physiology and other needs. To begin your journey toward living clean and sober, contact South Florida Detox Center today. It requires a great deal of courage and strength to face up to a drug abuse problem. While you cannot do all the hard work for a friend or loved one, you can be the catalyst for positive change and enable those you care about to find the right help at the right time. If you are wondering how to help someone with a heroin addiction , or a person abusing other substances, your awareness and support is the most valuable thing you can offer. If you suspect that your friend or family member needs help, or are just wondering how you would know they had reached a dangerous point of substance abuse, these lists will guide you. The fact that you are looking for answers shows your caring level of concern. How Will You Know If a Friend Needs Help with Addiction? Is it time to intervene? How do you help someone struggling with addictive drugs? You can start by becoming aware of the physical, behavioral, and psychological signs of heroin abuse and other substance addiction. Being evasive, secretive, and being caught in lies frequently. Hiding drug use and purchases requires the user to begin lying to those around them. Loses interest in hobbies, passions, or activities they once enjoyed. Addictive substances flatten out the emotional response to other experiences, also there may not be enough time to pursue both things. Drastically changes appearance and general attitude, or has severe mood swings. This may be due to new (drug-using) peer group, or the effects of short term withdrawal. Travels alone to unusual places at odd hours. They may offer evasive responses when asked where they are going or why, and they won’t want you to come along. Starts stealing from friends, family, or workplace to support their drug use. This behavior from a previously honest and trustworthy friend can be a shocking sign. The pain of un-medicated withdrawal causes this desperate behavior. Fails to meet commitments, which might be related to memory loss or blackouts. As addiction grows, not only does the drug eclipse the importance of other responsibilities, the user may lose time or not be able to remember where they were. Has unexplained changes in sleep or energy level. Might be hyperactive, talk too much, or fall asleep suddenly. As drug levels rise and fall, there may be manic bursts of energy and subsequent crashes. Sudden weight changes can be caused by stimulants, or by not eating while under the influence of opiates. Inactivity while under the influence may also cause weight gain. Unexplained bruises or marks, needle marks on arms, legs or bottoms of the feet. Bruises may be caused by stumbling or falling. Needle marks tell their own tale. Glazed or red eyes, pupils larger or smaller than usual, or a persistent blank stare. Most addictive substances affect pupil size and the eyes give a good indication of awareness. 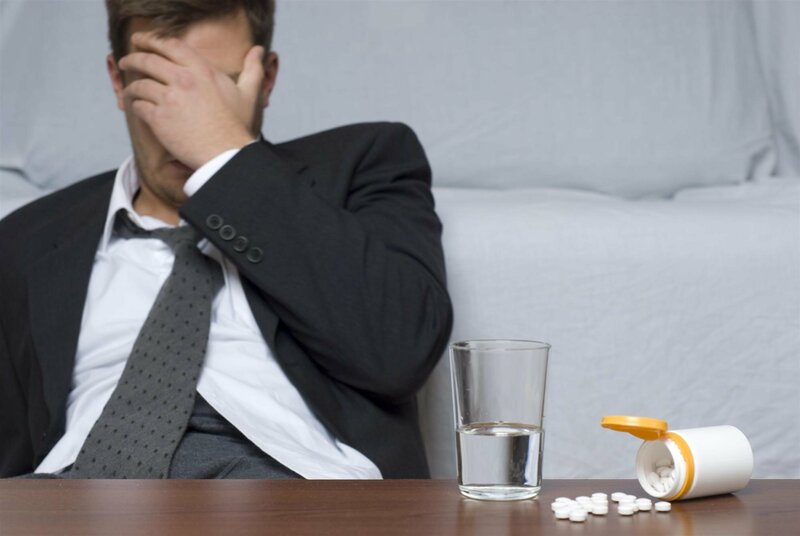 Nausea, vomiting, or excessive sweating, cold, sweaty palms or shaking hands can be signs of opiate detox, withdrawal from alcohol, or any physically addictive substance. Puffy face, blushing or paleness. Changes in blood pressure cause these intermittent effects. In combination with other symptoms, these might be significant. Runny nose, hacking cough, unusual nose bleeds. Any substance that is sniffed or inhaled can cause these types of reactions. Unusual odors. You may not recognize what it is, but metabolism changes can cause noticeable changes in someone’s body odors. Also, the fumes of other substances may cling to clothes or skin. Develops a visible tolerance or increases dosages. You may notice this in prescription drug addiction if you have visibility to pill bottles. It can be very difficult to reverse this trend and return to normal dosages. Becomes preoccupied with maintaining a steady supply, or becomes angry or violent when the supply runs out or they miss a dose. This reaction makes clear that the drug is taking over their normal personality. Sells personal property or has items repossessed. Pawns or sells things of personal value to catch up on bills or to buy drugs. Their home may become noticeably empty, or they may part with collections or family heirlooms. Legal problems arise in the form of a DUI, possession arrest, or they might be caught stealing. They may be required to seek treatment as a result, or offered the option. Job loss occurs due to poor performance, being late, etc. They may change jobs frequently because it is too difficult to keep to a schedule consistently. School or family are concerned about the possibility of child neglect. As a person is taken over by their addiction, they may not be able to properly care for children. If there is any concern about this, immediate help is needed. Indicates that they want to reduce or stop using drugs, but they do not make progress on their own. They may be struggling with withdrawal without medical help and guidance. Users in this stage can immediately benefit from a medication based detox program. Is aware of the negative impacts on their health and those around them, but continues to use the drug. If they are ready to discuss the negatives, they may be getting ready to begin recovery. Voluntarily discusses detox or rehab but does not follow up with any actions, or jokes about needing a program. They may be testing the waters to see if you agree they need help. They want to know you will be supportive and accepting. This is a great time to offer resources and information. Why Is It so Difficult for Those We Love to Quit? Continuous or repeated abuse of drugs causes changes in the brain. Self-control centers within the brain are inhibited or damaged, which shows up in brain scans of those in the grip of addiction. 2 Wanting to change is essential to recovery, but it is usually not enough on it’s own. Finding the right opiate detox center in Florida might require a little help from a friend. There are both inpatient and outpatient detox options to consider. Doing some research and being ready to offer information to your loved one is empowering for both of you. If you get initial pushback, that’s okay. Continue to provide emotional support and information as your friend’s recognition of their problem grows. There are a number of detox centers in south Florida that provide different environments that support recovery. Outpatient options may be the right starting place, allowing your loved one to get the guidance and medical support needed to deal with heroin detox symptoms or other types of withdrawal, while still maintaining a normal life and keeping up with commitments. At South Florida Detox Centers outpatient programs can be customized to fit the patient. Our team will meet with and assess your friend to develop the right combination of therapies and medications to alleviate symptoms. The detox certified physician will discuss the options of outpatient detox, opiate detox, and Suboxone™ treatment. This custom treatment plan will ease the detoxification process and control withdrawal symptoms. With you by their side and willing to help them recognize their needs and pursue treatment, your friend or loved one can win the battle against addiction, find new hope, and create a healthy life. If these symptoms are taking over the personality of someone you care about, c ontact us . Recovery is within reach, with devoted friends like you and expert outpatient detox treatment nearby. Part of the problem for the heroin epidemic, which is supported by the collected data, is that prescription painkiller drug use has also increased. Prescription pain medications, such as Vicodin® and OxyContin®, mimic the effects of heroin. It is not uncommon for someone to become addicted to prescription painkillers first, and then transition to heroin later. In fact, according to the NIH, close to 80% of heroin addicts in the United States, including those currently seeking treatment, have reported to first using and abusing prescription painkillers. 2 This is a change in previous trends from several decades ago. During that time, it was more common for people to use and abuse heroin first, and then move on to prescription painkillers. The reason things have changed can be contributed to the ease of access to prescription opioids in the 1990s and early 2000s. At that time, there was no centralized tracking of prescription data. It was easy for a person to see multiple physicians and obtain multiple prescriptions for painkillers. For heroin addicts, it was easier to get a neverending supply of opioid drugs than to find a reliable source of heroin to support their habit. However, with changes in regulations and stricter controls on the dispensing of prescription opioids, this is no longer the case. As it has become more difficult to obtain regular supplies of prescription painkillers, addicts have now turned to heroin use to fuel their addictions. Heroin is in a class of opioid drugs that are made from the seed pods found on opium poppy plants. For prescription drug abusers, taking heroin provides similar effects to opioid pain relievers. It is fast-acting, and it quickly binds to receptors in the brain and other areas of the body. It tends to reduce feelings of pain while enhancing feelings of pleasure. The euphoric state one achieves from taking heroin is highly addictive. So much so, it only requires a person to try heroin once to be hooked on this drug. However, you need to realize that this euphoric state is just one possible outcome from using heroin. Not everyone has a pleasurable experience. According to the CDC, from 2002 through 2013, past year usage, past monthly usage, and addiction to heroin have increased the most in the 18-to-25-year-old age group. 3 In addition, out of all new users, 75% reported having previously abused prescription painkillers before switching to heroin. 56.8% of heroin users report past-month binge drinking. 97.4% of heroin users reported using other psychotherapeutic drugs for nonmedical purposes over the past year. 45.7% reported having used marijuana within the past year. 138.2% of new heroin users reported having taken and used prescription opioid pain relievers for nonmedical purposes over the past year. 87.1% reported having used cocaine during the past year. The rate of heroin-related overdoses resulting in deaths increased by a factor of 5 from 2010 to 2016. In 2016, more than 15,469 people died of heroin overdoses. The number of deaths increased the largest for synthetic opioids from 2015 to 2016. In 2016, 19,413 people died from synthetic opioids compared to 9,580 in 2015. Fentanyl is the top synthetic opioid. Fentanyl can be mixed with heroin or cocaine without the drug addict’s knowledge. Possible contributors to the heroin epidemic include improved purity, decreased prices, and increased access. There was a 108.6% increase in heroin usage from 2002 to 2013 in 18-to-25-year-olds. There was an increase of 114.3% for the non-Hispanic white (Caucasian) race segment. The biggest increase in abusers came from the middle-income class earning between $20,000 and $49,999 annually, with a 76.9% increase. Usage by females increased 100% from 2002 to 2013. Usage by males increased 50% from 2002 to 2013. 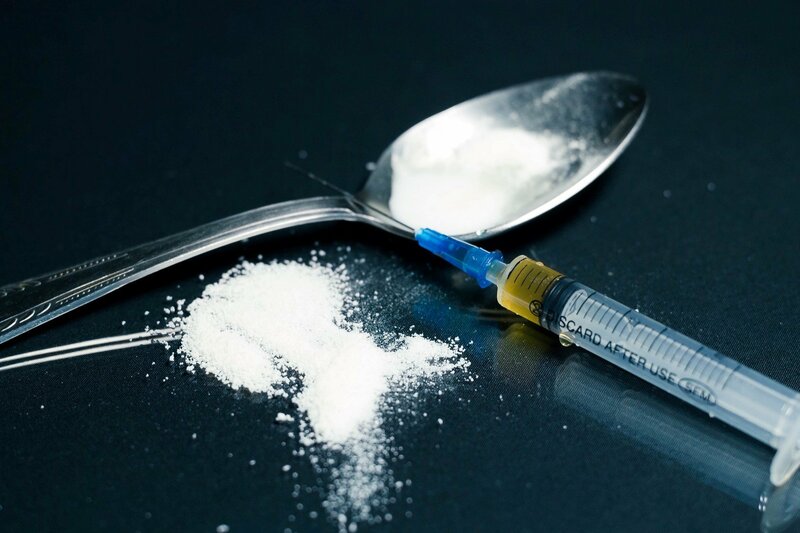 Overall heroin usage rose from 2002 to 2013 by 62.5%. 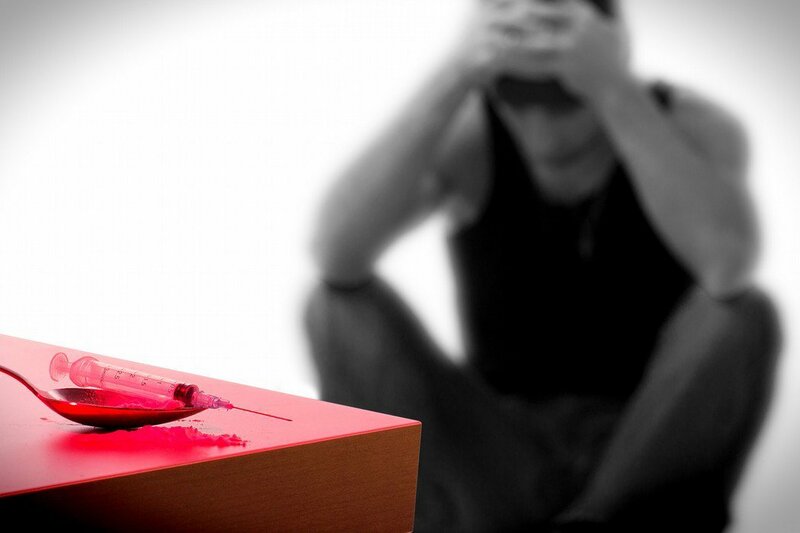 Overall heroin dependence and abuse rose from 2002 to 2013 by 90%. Alcohol are two times more likely to become addicted to heroin. Marijuana are three times more likely to become addicted to heroin. Cocaine are fifteen times more likely to become addicted to heroin. Prescription opioid painkillers are forty times more likely to become addicted to heroin. As evident from the research data, statistics, and facts about heroin usage, it is now a major epidemic in the United States that affects everyone, regardless of income and race. It is important to remember that you cannot force someone with a heroin addiction to seek treatment. However, that does not mean you cannot help them. Often, friends and family members of a heroin addict do not fully understand the effects this drug has on the body and brain. Far too often, friends and family members will simply demand that the addict stops using heroin, yet taking this approach rarely delivers the desired results. Instead, addicts will respond by hiding their heroin abuse and/or starting to push those closest to them away. Essentially, heroin will become more important than the addict’s friends and family. Rather, a better place to start is to take the time to educate oneself about heroin health effects on the body and brain . Taking this approach will be more beneficial for you and your family in the long run. In addition, if necessary, you can seek help for staging an intervention from heroin addiction experts like us at South Florida Detox Center or a qualified facility in your area. The key objective of a staged invention overseen by a professional is to help guide the addict and their friends and family to address the problem. The goal is to bring to light the addiction and increase awareness about how it is affecting those around the addict. Ultimately, it is hopeful the intervention will get the addicts to admit they have a problem. Once the addicts admit they have a problem, then they will be more receptive to coming to terms with the fact they need help. Again, it is important to stress for you to avoid pushing addicts into a treatment program. They must make a conscious decision themselves that they want to stop and are ready to take the first steps on the path to recovery. 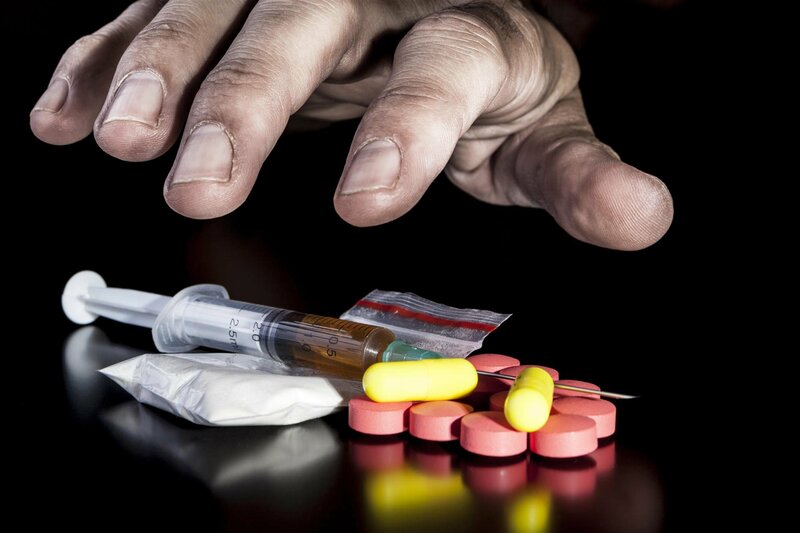 If you want to learn more about the signs of heroin use and what you can do to help a loved one with a heroin or opioid drug addiction, or are a heroin or prescription drug addict ready to being rehab, please feel free to contact South Florida Detox Center at (772) 675-6350 today! We have detox centers located in Broward, Palm Beach, and the Treasure Coast. Many experts would agree that heroin addiction has reached epidemic proportions in the U.S. This particular drug addiction, which is also present in West Palm Beach, can cause fatal overdoses and other serious health consequences . Since prevention is always preferable, it’s worth investigating the causes of such widespread drug abuse. One of the major factors driving the heroin addiction is actually opioid painkillers, which doctors can legally prescribe for patients with acute or chronic conditions. Some health advocates have called upon doctors to prescribe powerful painkillers more carefully or to monitor their patients for signs of drug dependence and abuse. This is because some patients become addicted to legally prescribed narcotics. Consequently, opioid addiction can lead to heroin addiction when the individual can no longer afford or is no longer prescribed opioids. Getting heroin on the street produces the same sense of euphoria and it’s much cheaper. It also increases the user’s risk of dying from an overdose, contracting an infectious disease, or suffering other dire health consequences. Detoxing from drugs is never pleasant, but a heroin addiction in particular can give rise to very severe withdrawal symptoms. Although going through opioid withdrawal in West Palm Beach isn’t likely to be fatal, it’s highly advisable to detox under the guidance of a doctor instead of trying to do it yourself at home. A doctor can administer Suboxone treatment , which will significantly ease the withdrawal symptoms and improve the recovering addict’s chances of successfully beating the addiction. In addition to easing the withdrawal symptoms with Suboxone, a doctor at a detox center can direct recovering addicts to further resources to give them the long-term support they need as they restructure their lives. Addictions can lead to a range of withdrawal symptoms. Some of the mild to moderate symptoms of cold turkey heroin detox include nausea, vomiting, abdominal cramps, diarrhea, and runny nose. Individuals may get chills, sweats, and muscle and bone aches. They may feel agitated, restless, and fatigued, and they might experience tremors. When heroin withdrawal is at its most severe, individuals may develop a rapid heart rate, hypertension, and even impaired breathing. Anxiety, insomnia, and depression can result from trying to quit heroin without medical support. Muscle spasms and intense cravings for the drug are other severe withdrawal effects. In addition to these withdrawal signs and symptoms, it’s well-known that detoxing from heroin often causes suicidal thoughts in drug addicts . In fact, it’s not unusual for heroin addicts to explain that they thought of killing themselves at least once per hour while going through withdrawal. Cold turkey withdrawal usually causes severe depression, outbursts of anger, prolonged episodes of crying, and life-endangering behaviors, which can lead to suicide attempts. It’s possible to prevent these problems altogether through Suboxone treatment. Another major risk with trying to detox on one’s own is the possibility of a relapse. To stop the severe withdrawal symptoms and the thoughts of suicide, an addict may use heroin again. Drug relapses can be very discouraging to addicts, perhaps discouraging enough to convince the individual not to try to detox again. However, with the proper medical support, an addict can successfully work toward recovery. Why Is Heroin Addiction Rising in Women? The rate of drug abuse and addiction among women has been on the rise. The rate of heroin addiction in particular has nearly doubled among women. These alarming trends have experts very concerned, since increasing drug addiction near West Palm Beach means that more babies will be born already addicted to drugs. Drug overdoses have also been increasing, as have the rates of infectious diseases like hepatitis C.
So why are so many women becoming the victims of drug addiction? Watch this interview to find out. This expert explains that legally prescribed opioid pain relievers often act as a gateway drug. When women can no longer obtain these drugs, they might turn to heroin, which is cheaper and readily available. Does Someone You Love Need Help with a Heroin Addiction? Heroin addiction is a devastating disease that tears apart families and places a heavy burden on communities. Often, individuals who are struggling with addictions want to be free of them, but they lack the means to break free of drug addiction on their own. It’s essential for family members and friends to avoid turning a blind eye to the signs of addiction. There are drug treatment centers in West Palm Beach that can help your loved one, such as by providing Suboxone treatment. There are many possible signs of heroin addiction. These include physical changes you may see in your loved one. He or she may cycle through periods of euphoria, followed by periods of excessive sleepiness. Heroin addicts may display confusion, disorientation, unusual sleeping patterns, significant weight loss, and slurred speech. You might notice needle marks on your loved one’s arms or elsewhere on the body, and your loved one may frequently have a runny or itchy nose. Heroin addicts tend to lie frequently, perform poorly at work or school, and steal money and valuable items. Once you’ve recognized that your loved one has been abusing heroin, it’s necessary to learn how to identify your own behaviors that enable him or her. Negative enabling behaviors are those that allow addicts to escape the consequences of their choices and actions. Because heroin addicts tend to spend all their money on drugs, they might lose their job and their home. Some examples of enabling behaviors include giving the addict money and a place to stay. Another enabling behavior is bailing a loved one out of jail after the addiction results in a criminal charge. Let your loved one know that although you won’t enable his or her behavior, you will provide your ongoing support if he or she seeks treatment. Take the initiative to research drug detox clinics in your area and help your loved one understand that there are options beyond inpatient rehab. Many people have successfully overcome heroin addiction through outpatient Suboxone treatment. 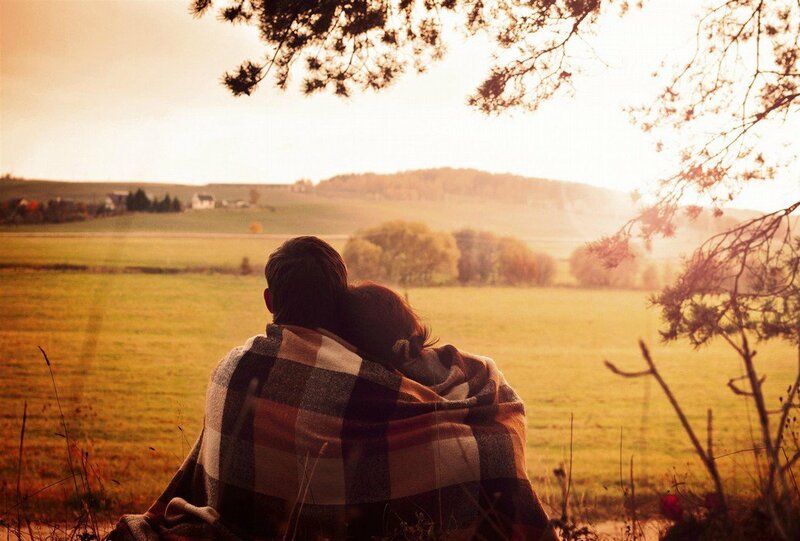 Your loved one may be more willing to try treatment if it doesn’t involve becoming an inpatient. Suboxone can be an extremely effective medication for controlling withdrawal symptoms and helping people manage the opiate detox process as easily as possible. However, myths about using Suboxone has made some people wary to include it in their drug addiction treatment plan, because they fear swapping one addiction for another. In reality, when it is properly managed by a substance abuse counselor as part of your drug addiction treatment, using Suboxone in West Palm Beach is safe and effective. Suboxone was FDA-approved for treating detox symptoms in 2003 and has a long, proven track record of success. It is a mix of two medications, one that is an opioid, and one that blocks the pleasurable feelings caused by taking an opiate. The opioid in Suboxone does not bind to receptors and cause euphoria, as drugs linked to addiction do, and the additional medication blocks any pleasurable feelings that do occur. As a result, Suboxone does not lead to drug abuse and addiction. Thanks in part to pain medication abuse, heroin addiction has reached epidemic levels nationally, and South Florida has not been spared. Recovery from heroin addiction in West Palm Beach and the surrounding areas is possible, with substance abuse treatment programs that are experienced in working with this potent addiction. Watch this video to learn more. Heroin addiction is impacting communities across the country, both rich and poor. This highly addictive drug is being made even more dangerous in South Florida, where heroin is being laced with fentanyl. Experts estimate that fentanyl can make heroin up to 100 times more addictive in some cases. 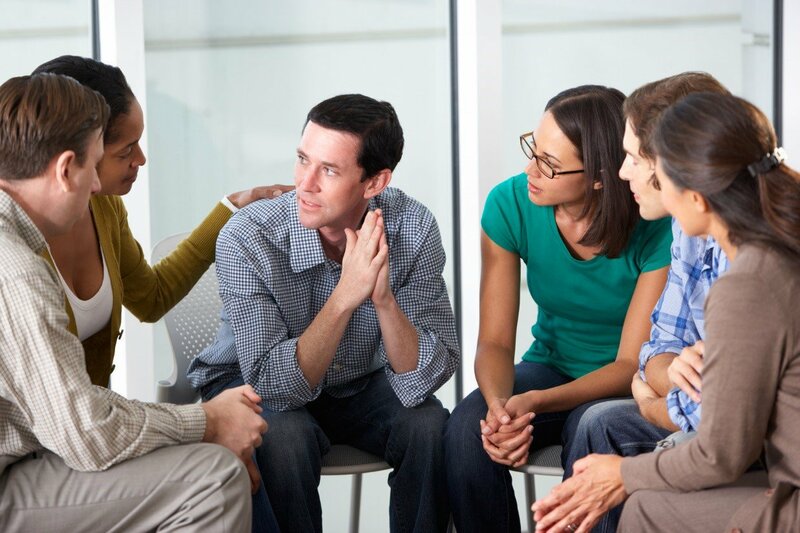 Because heroin withdrawal symptoms can be so intense, drug addiction recovery should be managed by experienced substance abuse counselors in addiction treatment centers.